Yes, because that’s really what this whole multibillion-dollar industry is all about, isn’t it? Inner beauty. If you’ve immediately recognized the introductory quote, that only means one thing – you are just as fabulous as the person saying it, i.e. Nigel (Devil Wears Prada) and I couldn’t be more proud of you! A true fashionista and a fashion lover knows his/her material well (films, plays, shows, designers, brands, collections, etc.) and plays along accordingly. After all, fashion industry is mostly just that – following your queue and being able to recognize the good stuff. Fashion is a fruitful arena for all of us who dare challenge it in a sense of bringing something new, exciting, thrilling and fresh to the table. God knows there is so much you can do to fascinate The People of Fashion, but the trick to staying hip in the industry is to never stop working on yourself. Whether you are a model, a photographer, a makeup or hair artist, to turn fashion from your hobby to career you need to be diligent, smart, persistent and wisely calculate and weigh out all of your pros and cons. The competition in the industry is terrifying but getting ahead isn’t impossible. With the right set of skills and the right attitude, so much is possible. After close observation of the fashion arena, I’ve learned that there are a few side-fashion-career paths to follow that may as well help you earn a good buck. Unless you have been living under a rock, you are well aware that stylists are a huge trend these days, especially in the lives of celebrities. Stylists are hired not only for private purposes of the seen but for fashion shows, designers’ assistance and even consulting on collections. And the money? Amazing!!! Truth is, you need to start early. Try getting an internship with any of the appreciated names in the industry during your studies. This will not only give you priceless experience but as well help you make connections and meet people you normally wouldn’t have the chance to. However, people in the industry are rootless – just a few mistakes and you are on the black list for good. Hair and makeup are those sets of skills that absolutely never become obsolete, well at least in the FI. 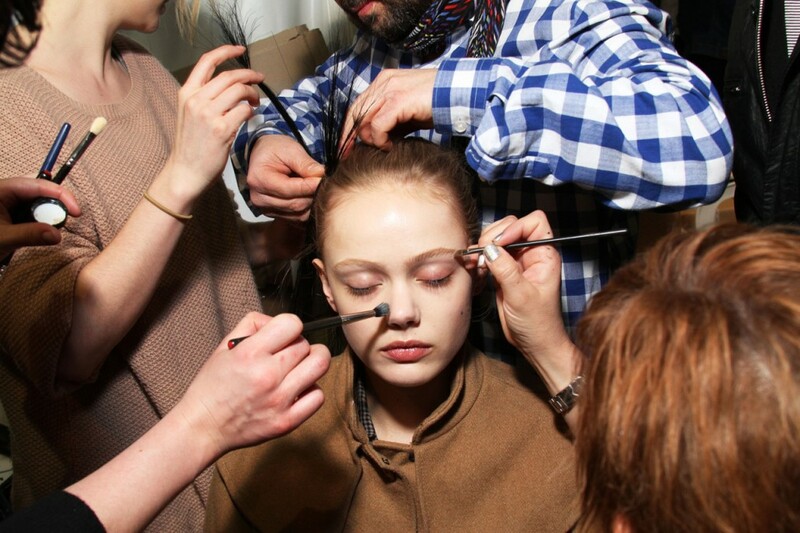 It’s true, makeup artists are many as are hair stylists but there are a few good, chosen ones. Again, it all works on the principle of constant improvement. Take Mario Dedivanovic as example – this talented makeup artist came up with a contouring technique and found just the right person to promote it on – instant success! Plus, there is internship again. Make your way to and through the names you’ve always admired. And, no matter how talented you are, ALWAYS leave space for new things to take in. Although seen as outsiders of the fashion world and mostly frowned upon, fashion bloggers have scratched their way into the fashion arena and they apparently plan on staying. Out of all other side-businesses, this profession is the best paid one in the industry with fashion bloggers earning money each time someone clicks on their page. Apart from the fantastic deals they get working with the biggest brands out there, they get to enjoy the work you do. However, being a blogger means a lot of research, dedication, and always being one step ahead of the competition. Tough! It is not uncommon to find models with brains, women who in time (but on time!) realize they are more than walking hangers, that they’ve got a business drive they can easily cash in in the Fashion industry. Yet, rare but of quality are those models who manage to successfully turn their modeling talent and their entrepreneurial spirit into a flourishing business and run it with wonderful, continuous, multiple accomplishments. Taryn is a perfect example of a strong woman in Fashion industry who understood the system and found a way to make it work to her benefit. You can easily be next!